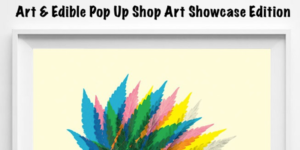 ART & EDIBLE POP UP SHOP ART SHOWCASE EDITION! Medical Cards are NOT needed to attend. Veterans are welcome! Must be 21+ to attend w/ ID. BYOB or get some while you’re there.